It’s taken me virtually my whole adult life to master Microsoft Word and I still can’t touch type. Just as I reach a level of comfort with my computer, something new shows up to baffle me. Case in point: recent efforts to embed a step-by-step Indian cooking video. I clicked into it and found a host of popular curry recipes, all clearly explained in short videos. If I wasn’t so technically challenged, I would have embedded the video in here to show you how the thing works. So, I’m going to do it the old fashioned way. I substituted the double cream with Greek yoghurt, and used both boned and cubed chicken thighs and breasts. The chicken thigh chunks were definitely more succulent and tender. Next time, I’ll use a tablespoon of sunflower oil. It was no real surprise that the dish took longer than 10 minutes to make, with the preparation time. But it was absolutely delicious and will definitely feature in my kitchen again. I ate it with the yummy paneer and corn pulao I made earlier. That’s a lovely photo, Mallika! Just discovered your blog and love it! My partner adores chicken curries. This will definitely be made very soon! Hi Mallika! I also tried this recipe off of videojug, a few months back. I also thought it took longer than 10 minutes, maybe just hte cooking takes 10 minutes! I like you substitution of yogurt to cream. We don’t have double cream here in the states, so it took me a while to figure out what it was! A question for you. My husband and I will be in London with our 8 and 3 year old next month, and the 8 year old wants to eat at a “real” Indian restaurant. Never mind I make Indian food, or that we have restaurants all over the place here, she insists the closets thing to the streets of Mumbai must be London. 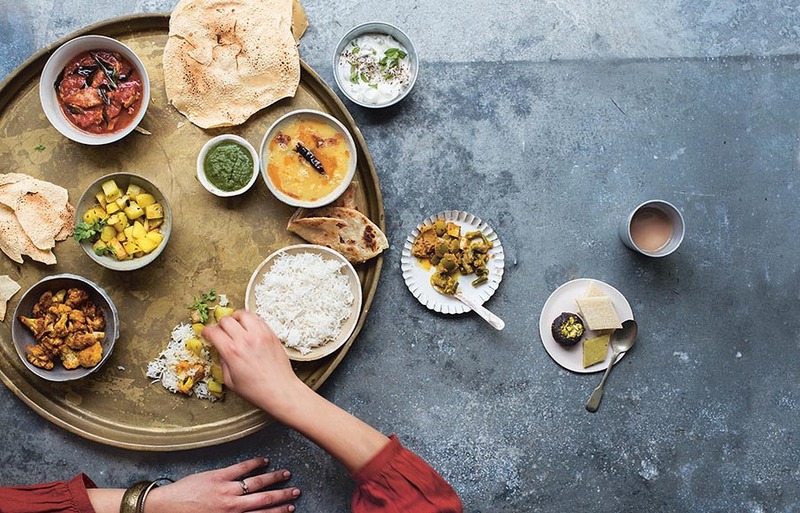 So do you have any suggestions of kid friendly Indian restaurants in London? Always enjoy your blog and recipes. Hi Deana – thanks so much for your comment. I’ve seen photos of your two cute kids on your blog. I have two suggestions for you in central London. One is Gaylords on Mortimer Street. Slightly on the expensive side it’s where Indians eat authentic food when they are in London. Or alternatively, try Masala Zone on Marshall Street in Soho. It’s cheap and cheerful and has lots of very good authentic Indian dishes from street food (very Mumbai) to curries and thalis. They are both child friendly. Have a fantastic time in London. I will read all about it on your blog, I’m sure! Looks delicious. 10 minutes is too short. Hi! I am from the US and dont get what u mean by double cream…can you explain? Hi Radhika – I think double cream is known as heavy cream in the US. It has a minimum milk fat of 48% and can be whipped and used for cake icing and deserts. Well i am 13 and enjoying food technology at my school. We had to research recipes for homework and then cook them but it had to be a forien dish, i didnt realise, i saw the exact same thing as you on video blog and i would like to ask weither it is 10 minutes to cook or not? I havn’t cooked it yet but will be sure to tell you how it went thanks again. Cooking is great fun. 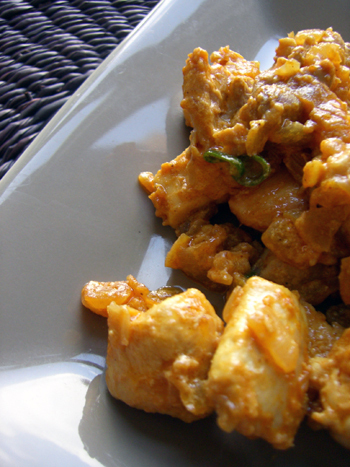 This recipe takes more like 30 minutes, but it is still pretty quick for a chicken curry. So do try it and let me know how it goes. quality will be inexpensive and affordable.